Sculptra is a solution that is injected into the face to stimulate collagen growth. Increasing collagen in the face will add volume to the face. The active ingredient and the fancy medical term for Sculptra is poly-l-lactic acid. Sculptra has been successful injected in the face to improve facial volume for over 10 years. It was originally approved by the FDA in 2004 for facial injections and its indication was expanded to cosmetic uses by the FDA in 2012. Even though Sculptra was not approved by the FDA for cosmetic uses until 2012, it has used for cosmetic reason for many years before and I use Sculptra in Charlotte often to help my patients look and feel younger. How Does Sculptra Improve Facial Harmony? As we age, we gain weight in our body, but lose weight in our face. We lose fat and bone in the face causing our face to deflate. The best way to explain the effect of facial deflation is to use the grape and raisin analogy. A full face is like a smooth grape. A plump grape does not have wrinkles or shadows. As the grape ages, it loses volume and becomes a raisin. A raisin has wrinkles and many shadows on the surface. If you took a raisin and made it plump again, it would look like a grape. The face undergoes a similar process as it loses volume. For this reason, the addition of volume can fill, lift, and smooth facial wrinkles. Charlotte Sculptra injections cause the face to produce new collagen to add volume to the face. Since the face is actually producing a new substance, it does not work overnight. The collagen slowly creates a gradual increase in facial volume that occurs over 1-4 months. Sculptra is composed of poly-l-lactic acid. Poly-l-lactic acid has been used safely for many years as a main component in a certain type of sutures and stitches. It was found that injecting this material in a near liquid form stimulated to body to produce collagen. How Long Does It Take Sculptra to Work? Since Sculptra is stimulating the body to produce collagen, the results occur gradually and naturally. It is not an overnight miracle and takes longer to see results than other Charlotte facial fillers. Generally speaking, the volume will appear over 1 to 4 months. In younger patients, they may see an increase of volume over 1 month. Patients that are older will require an additional injection of Sculptra in Charlotte spaced out every 4 weeks. A typical patient will require 3 treatments and they will see an increase in volume over a 4 month period. How Long Does The Increased Volume From Sculptra Last? Generally speaking, the volume will last 2 years, though every patient is unique. Where Can Sculptra Be Injected? Sculptra is a great product to inject into a face that has thicker skin and away from the lips. Sculptra is typically injected into the temples, cheeks, in front of the ear, forehead, beneath the eyebrow, and jawline. Where is Sculptra Not Injected In The Face? Sculptra is not injected underneath the thin skin of the lower eye, lips, or areas close to the lips. Can Sulptra Raise My Sagging Skin? If a patient’s etiology for their sagging skin in the face is due to facial volume loss, then Sculptra can be effective in improving sagging skin. Do I Need the Same Amount Each Time I Have A Treatment? No. Depending on the results after your first or second injection, a patient may require less during follow up injections. Patients may require touch up injections as the volume from the Sculptra is lost. During a Charlotte Sculptra touch up, less product may be required. How Much Does Sculptra Cost in Charlotte? 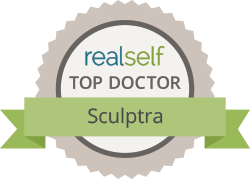 There are a wide range of prices of Sculptra in Charlotte. Sculptra is priced per vial. A patient will need between 1-3 vials per session and they will need between 1-3 sessions. If you are having a specialty trained facial plastic surgeon do the injections, it will likely cost more per vial than a person who has less education. Also, the price of Sculptra in Charlotte can vary between the first session and subsequent session as the subsequent sessions may be less. How Many Vials Do Most Patients Require on Their First Treatment? This depends on the location, age of patient, and the amount of volume loss. It can range from 1 to 3 vials. A young woman in her 30’s with smaller amount of volume loss will need 1 vial while a women in her 60’s with significant volume loss will require 3 vials. What is Unique Regarding the Technique to Inject Sculptra in Charlotte at Carolina Facial Plastics? I was trained by one of the pioneering Sculptra injectors in the country, Dr. Rebecca Fitzgerald, during my training in Beverly Hills. She is consistently one of the top injectors in the world in regards to amount of Sculptra injected in a year. This training and experience allows me to bring leading edge the techniques and analysis to my patients in Charlotte. 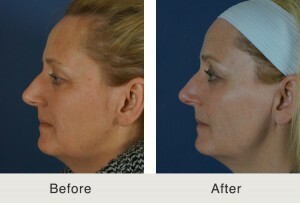 Why Should I Choose Carolina Facial Plastics To Have My Sculptra Injections? When considering the person you trust to inject a substance in your face, I would choose wisely. Dr. Kulbersh is a Beverly Hills fellowship trained facial plastic surgeon. He worked with best Sculptra injectors in Beverly Hills. He has worked with facial plastic surgeons, plastic surgeons, and Dermatologist that injected Sculptra. He was able to take the best skills from each specialty to create his unique injection techniques. Can I Get a Consultation and Sculptra Injections the Same Day? Typically, it is not possible to have your injection and consultation the same day. Sculptra has to be prepared for 2 days before it is injected for best results. Dr. Kulbersh specially prepares Sculptra for each individual patient and therefore the patient must schedule a later date to have Sculptra injected in Charlotte. Can I Get My Sculptra Injected By Dr. Kulbersh? You can call (704) 842-3644 or email [email protected] to schedule a consultation. Sculptra is a fantastic solution to overcoming sagging skin and unwanted wrinkles for people of all ages, and with my expertise, I’m confident that you’ll love your results. Next, read about Tear Trough Injections.